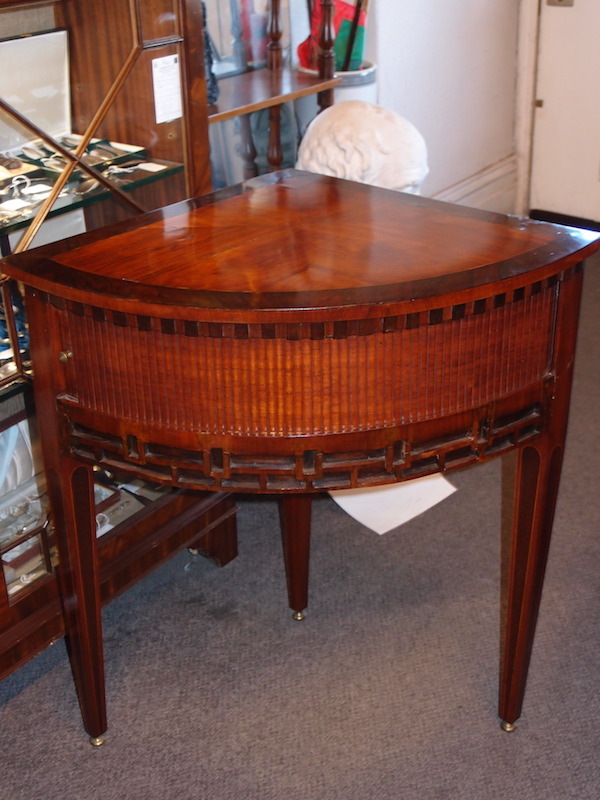 This charming little late 18th century quadrant corner table has a radius of 49 and is 76 cm tall. 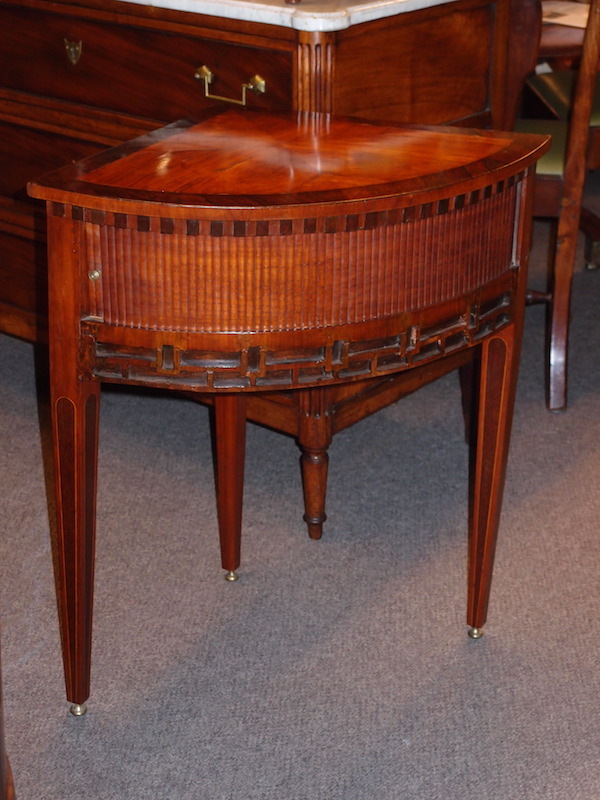 It has the characteristic Dutch brass knobs to finish the inlaid square section, tapered legs. The whole is made of two types of Rosewood. The top is quarter veneered in paler wood, which is banded in darker timber. The tambour, or rollerdoor, is not currently inclined to function, and is still in discussions with our restorers. We hope to have persuaded it to perfect behaviour soon! The apron on the bowed front is carved in a Chinoiserie meander pattern, reminiscent of Chinese Chippendale furniture.